Scienter Action (Liability for Dangerous Animals). This part of the law of torts concerns liability for animals that are dangerous. Liability in this situation is usually predicated on whether or not the owner of the animal had prior knowledge of the animal’s conduct. These are animals which are dangerous by nature. They include lions, tigers, cheetahs, elephants and other wild animals that can cause harm to others. They are generally dangerous but some of them can be tamed. If however, one of these tamed wild animals cause injury to another person, the owner would be strictly liable. This is regardless of the fact that the animals had not attacked anyone in the past. The reason for this is that these animals are by instinct, dangerous to human beings. Hence, anyone who brings them to human dwelling does so at his own risk. In the case of Behrens vs. Bertram Mills Circus, the owner of a tamed elephant was held to be liable for the acts of the elephant in attacking the plaintiff. This was regardless of the fact that the elephant had never attacked anyone in the past. These are animals that are normally tame but occasionally attack human beings and cause harm. A very good example of this is dogs. 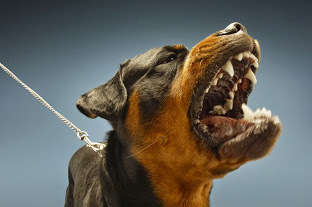 Dogs are tame, but once in a while, they attack and cause injury to human beings. In this situation, liability only arises if the owner of the animals had previous knowledge of the dangerous behaviour of the animal. Thus, all the plaintiff has to prove to establish liability is the fact that the animal had a vicious tendency and the owner was aware of this tendency. In the case of Hudson vs. Robert, the plaintiff was gored by the defendant’s bull because the bull was irritated by the red handkerchief which the plaintiff wore on his neck. The defendant was able to prove that the plaintiff knew of this vicious tendency. Hence the defendant was held to be liable. The knowledge of the defendant would also be held to exist if the knowledge of the vicious propensity was acquired by a person to whom the defendant had delegated custody or control of the animal. Thus, in a situation in which the wife or the servant of the defendant knew of the vicious tendency, the plaintiff would be held liable. In the case of Daryani vs. Njoku, the plaintiff had been attacked and injured by the defendant’s dog. This had occurred on a previous occasion and the matter was reported to the defendant’s wife. It was held that since the wife knew of the vicious tendency, she was meant to have told the defendant about it. Thus, the defendant was held liable for the animal’s act. On the other side of the spectrum, in the case of Glansville vs. Sutton, the defendant’s dog attacked and injured the plaintiff. There was no evidence of previous attack by the animal, hence the defendant was held not to be liable. It should be noted that liability would not arise in a situation in which the animal was acting according to its natural instinct. In the case of Burckle vs. Holmes, the defendant’s cat entered the plaintiff’s land and killed fourteen of his birds. It was held that there was no liability on the defendant’s part due to the fact that the animal was acting according to its natural instinct. The common defences to Scienter action are the plaintiff’s default and violenti non fit injuria. In the case of Sarch vs. Blackburn, it was held that a person who trespasses into another man’s land and is attacked by the guard dog would have no claim due to the defence of plaintiff’s default. Also, in the case of Sycamore vs. Ley, it was held that the act of the plaintiff in teasing the dog serves as a defence since it was through the plaintiff’s default that he was injured by the animal. The defence of violenti non fit injuria would apply in a situation in which a person, by the nature of his work or some other purpose, has voluntarily acknowledged to exposing himself to the risk of being attacked by animals. In the case of Rands vs. McNeill, it was held that zoo keepers and animal trainers had no remedy in scienter action if they were attacked by the animals with which they were dealing. This category of animal trespass deals with situations in which cattle in the possession or control of the defendant move unto the land of the plaintiff and cause damage therein. In the case of Cox vs. Burbridge, it was held that liability would generally arise against the defendant even though he was not negligent in dealing with the animals. Cattle under animal mansutae naturae include cows, bulls, horse, mules, goats and pigs. In some instances, it has been extended to include fowls. It should be noted that in the case of Tillet vs. Ward, it was held that there would be no liability under cattle trespass if animals being led on the highway stray unto adjacent land. This is due to the fact that the straying of animals from the highway is considered as a normal hazard associated with leading cattle on the highway. Also, in the case of Manton vs. Brocklebank, it was held that it is only the person that has interest in the land that can sue under the cattle trespass. The defences to cattle trespass are the same as the defences for the rule in Rylands vs. Fletcher. In the case of Singleton vs. Williamson, it was held that the defence of plaintiff’s default would apply in a situation in which the plaintiff neglected to build a fence round his property, thus allowing for cattle to stray there and cause damage. In the case of Smith vs. Stone, it was held that the defence of the act of a stranger would apply in a situation in which a third party drove the cattle onto the plaintiff’s land. The defence of act of God would also apply if lightning strikes terror into the cattle that they end up stampeding into the land belonging to the plaintiff. There aren’t a lot of Nigerian court cases which border on liability for animals. This is probably due to a lot of reason. One might be due to the ignorance of the general populace regarding matters like this. Also, compared to other common law countries, Nigerians do not have a lot of household pets. One Nigerian case regarding Cattle trespass is the one in the case of Daryani vs. Njoku. The facts of this case have already been highlighted above under the heading “Animals mansutae naturae”. Another case is the case of Uzoahia vs. Atu. In this case, a cow belonging to the plaintiff was attacked by tse tse flies and as a result, it wandered into the plaintiff’s village where it injured a number of people. As a result, the plaintiff and some other villagers cornered and killed the cow. The court held that the defence of necessity would avail the defendant since they were protecting themselves from the animal. There can be liability for negligence regarding animals if the plaintiff can’t find a cause of action in animal trespass. For example, in the case of Draper vs. Hodder, an infant was attacked by a pack of terrier dogs belonging to the defendant. The plaintiff could not come under scienter action because they couldn’t prove that the defendant had previous knowledge. They also couldn’t bring an action under cattle trespass because dogs are not considered as cattle. The plaintiff was however successful in bringing an action under negligence. He contended that the defendants should have known that terrier dogs moving about in packs would be dangerous and he should have taken steps to prevent them from doing damage. As with the case of negligence, there can be liability in other torts for harm caused by animals. In the case of Manton vs. Brockle Bank, it was held that there was trespass to chattel in a situation in which the defendant trained animals to steal. Also, in the case of Abiola vs. Ijoma, it was held that when a person collects a large number of animals that pose discomfort to other members of the society, there would be liability under the tort of nuisance. For the law student’s, practice how to handle civil cases. Pls what are the full steps of studying law in nigeria? 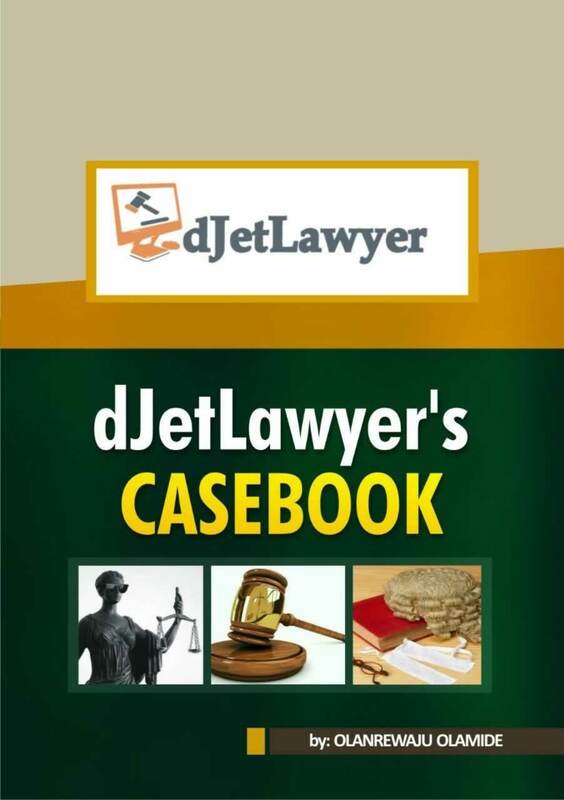 Pls what are the full steps of studying law in nigeria?, and more light on law of tord.